A few weeks ago, I was cranking Asia’s “Only Time Will Tell,” reflecting on how what I vaguely remember was the theme for the video… or at least what I think was the theme for the video. Actually, I was under the impression that this was the theme of the album in general — age and the surprise Baby Boomers felt at life’s midpoint. Of course, the specific lyrics of this song are less broad, but this is my interpretation of Asia’s general message. And, I was thinking about how I am currently middle-age, driving along, listening to a band that formed when I was a teenager, and the irony of how that band sang about the angst of lost youth at a time when I had youth, and now I don’t but I am still listening to them. I thought about how their videos were in heavy rotation on MTV, and yet their lyrics had little to do with the lives of the MTV viewing audience at the time. But we all still listened and purchased. 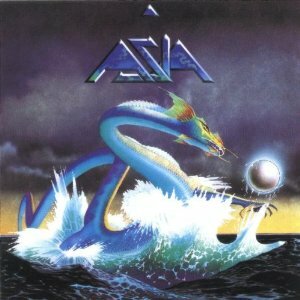 My husband even had a massive Asia poster in his bachelor apartment, though it was there to cover up a hole in the wall. And now their music has far more relevance to me. As I pulled up to the stoplight at Irving, Lincoln and Damen, a beggar was walking by the cars, and I rolled down my window to give him some change. When I looked at his face, I saw that he was probably the same age as me. This guy may have graduated from high school when I did. Though his skin was much more tired and weathered than that of your average forty-something, this was one of my peers — not an older man, not a young person. He was my age! Why I was so shocked, I have no idea. Maybe the song rendered me too reflective to handle this exchange of charity with my normal indifference. When I was a teenager, I only thought ahead 10 or 15 years to where I would be in life. Aside from some very driven people, I imagine that the future is a mystery for many. I wondered if this guy knew that he would be doing this when he was listening to Asia on the radio back in the 80s. When I was a senior in high school, I did my term paper on homelessness. I had no idea that someday I’d be handing a couple of quarters and a dime from the change holder in my car to a guy who could have sat next to me in study hall. This entry was posted in Rock-tales and tagged 80s music, gen X, middle age, midlife. I sometimes have the music thing happen to me.What an insightful connection with the homeless. Although not my most viewed, this has been my favorite post on my blog. I was thinking about it the other day, and I figured I’d repost it for anyone who might have missed it but would appreciate it.